Masque of the Red Death Kickstarter has Funded! The First Guest has been Revealed! 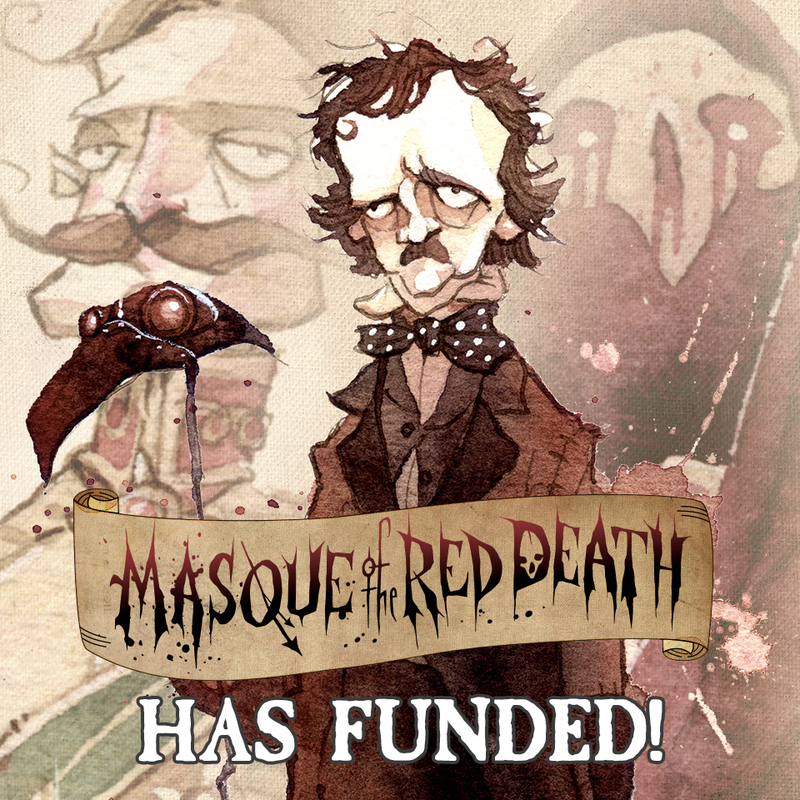 We’d like to take a minute to thank you for helping us get the Deluxe Edition of Masque of the Red Death funded! By backing this project you’re allowing us to really maximize the the ever so elusive “bling” factor of the game. Already mentioned is the exclusive packaging that features spot uv “glossy” icons against a matte black box, and red foil on the filigree and the box features. It really is a spectacular looking box. Also, you’ll be getting Gris’s original art piece for the standard game box’s cover as a lithograph, and we’ve upgraded the player boards from card stock to punch board. Beyond all of those upgrades, we also have a few surprises coming! Each day we’ll be revealing a new guest who has been upgraded from his or her standee to a miniature. Our miniatures are highly detailed and a little larger than average, coming in between 38mm and 48mm. Joining the minis are a special invitation card and a two tone wooden meeple to replace their punch popularity tracker. Our first guest has already arrived! The Archbishop Animus! Note: color will change before production. Check out the campaign page to see who next guest will be! Also continue to help us spread the word and share this campaign on your social media network! ← Edgar Allan Poe’s Masque of the Red Death Kickstarter is LIVE!